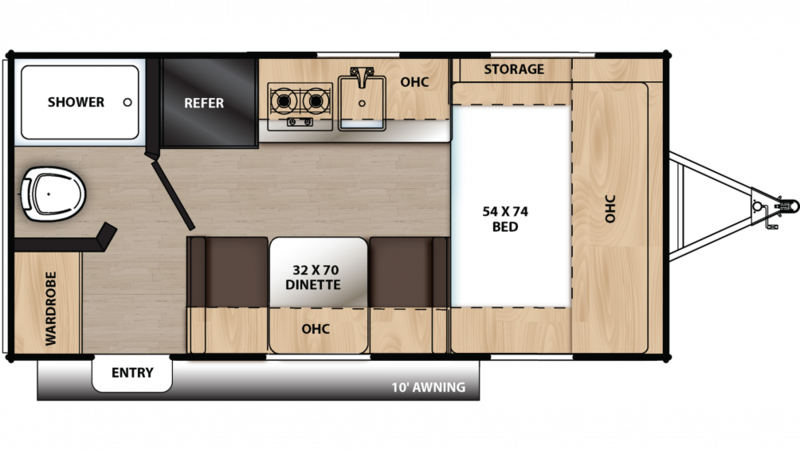 With this New 2020 Coachmen Catalina Summit 162FB, you'll experience family togetherness and camping fun! You'll have an absolute blast in this Travel Trailer! The fast and easy financing options at All Seasons RV are what makes us one of the top RV dealers in Michigan! Browse through our massive inventory at 4701 Airline Rd Muskegon Michigan 49444, or call us at 231-739-5269 to talk to an expert today! A 10' 0" awning is located along the side of this Travel Trailer. This rig has a GVWR of 3830 lbs, and a hitch weight of 330 lbs. When you're on the road, finding hearty, healthy, and delicious meals can be difficult. Not in this RV! It has a kitchen full of modern cooking appliances, including the 2 burner range cooktop the 7.00 cu. ft. refrigerator, and more! Before you leave home, fill up the 33 gallon freshwater tank so that you'll have plenty of clean water for washing, drinking, cooking, and showering! Step into the bathroom and you'll find a Marine Foot Flush toilet and a shower heated by lbs. of LP tank capacity. Used and dirty water is stored inside the 25 gallon gray water tank and the 25 gallon black water tank.